Spearheaded by the Center for Leadership and Service, Roarthon is an FIU tradition that is dear to the hearts of many. 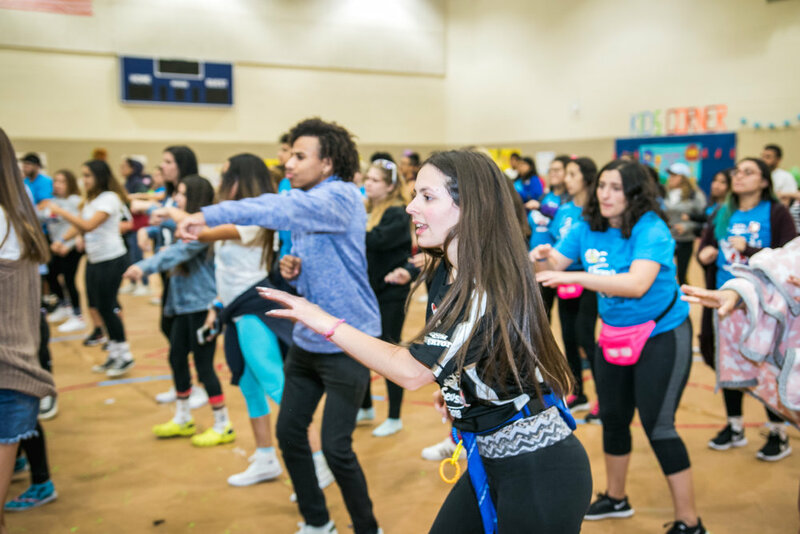 Since 1997, students have participated in the year-long fundraising campaign that ends with an exhilarating 17-hour dance marathon benefiting the Nicklaus Children’s Hospital Foundation. Roarthon 2018 kicked-off with a surprise dance performance by Anthony DeSantis, assistant vice president for Student Affairs. 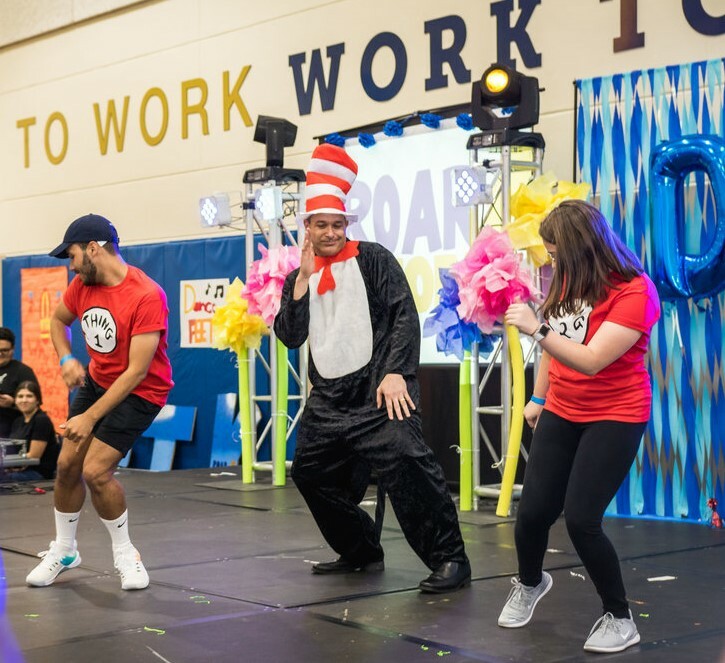 Keeping to this year’s Dr. Seuss theme, DeSantis dressed as the Cat in the Hat and danced alongside Student Government Association presidents Krista Schmidt (MMC) and Leo Cosio (BBC). “Why fit in when you were born to stand out?” asked DeSantis quoting the beloved children’s book author. “Go out there and enjoy yourselves,” he encouraged the crowd. Fueled by excitement, students took DeSantis’ advice. For the following 17 hours, 145 students defied exhaustion and vowed to stay on their feet. They twerked, swayed, moved and jumped to an eclectic collection of music. Miracle Children and their families visited dancers throughout the event. Meeting the kids and hearing their survival stories helped students stay motivated and gave true meaning to their efforts. “Just knowing that I could put a smile on the face of a patient or a family member, I know I am doing the right thing and fighting for the right cause,” said Roarthon participant and morale captain of the year Dimitri Lampru. This year, more than 400 students, faculty, staff, community members and dancers collectively raised $100,405.97. 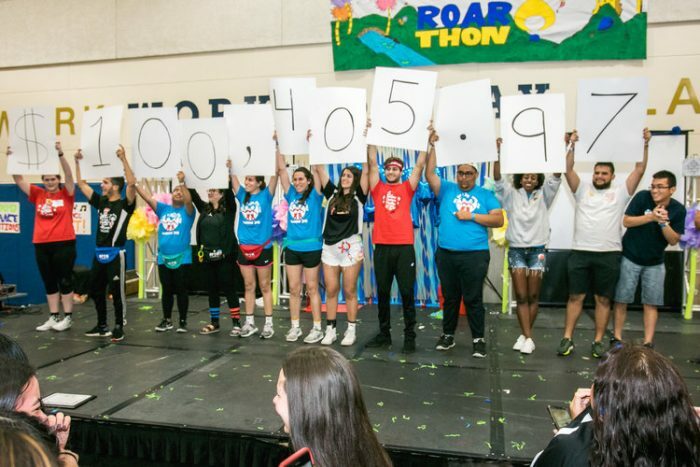 Altogether, FIU has raised over $1 million for the cause. The proceeds raised by Roarthon help provide financial support to families who cannot afford proper hospital care for their children. Donations also help create unique experiences such as a movie theater at Nicklaus Children’s Hospital to allow children and their families to feel at home while seeking treatment. Roarthon 2018 faced difficult challenges but FIU students showed their resilience, perseverance and commitment to a greater cause. “If you are wondering if you are really making a difference for your South Florida community, please know you are,” said Moldes. Roarthon is seeking committee members for 2019. Applications are currently available. The deadline is May 7. The Center for Leadership and Service provides students with developmental and experiential opportunities that foster leadership and community involvement, grounded in values and moral purpose. Through leadership education, service learning, advocacy and volunteerism, students become active global citizens on campus, in their respective communities and in the workplace.